2nd Mediterranean Cooking Event – Spain » Banner, Mediterranean, Cook, What, Spanish, This » tobias cooks! Since the 1st Mediterranean cooking event was such a great success we will continue straight away with the 2nd eddition of the event. This 2nd Mediterranean food cooking event is all about spanish food. Paella, Arroz con Leche, Gazpacho, Pescaito frito… What spanish recipe do you cook? Cook and blog about it! This time you can win a great spanish cookbook. See the rules of participation below. Start date is the 10th of November 2009. End date is the 10th of December 2009. Everyone that blogs and loves food. 1. Cook a dish from the actual country of focus. banners in the recipe post or on your blog in general. Can I participate with more than 1 recipe? Yes, you can. All recipes participate the poll. Entschuldigung, aber sind die Kommentare für das Event Türkei schon abgeschaltet?? Ich kann dort leider keinen Kommentar hinterlassen. the comments were closed, but I just opened them again. I will finally close them tomorrow and write the roundup and voting. can you submit a dish that was posted in the past? the idea is actually that you cook and post something during the speciffic period the event is on. What a fun event! I recently complained to my husband that Kansas City doesn’t have enough Spanish restaurants, and that if I wanted Spanish foods, I’d have to learn to cook them myself! 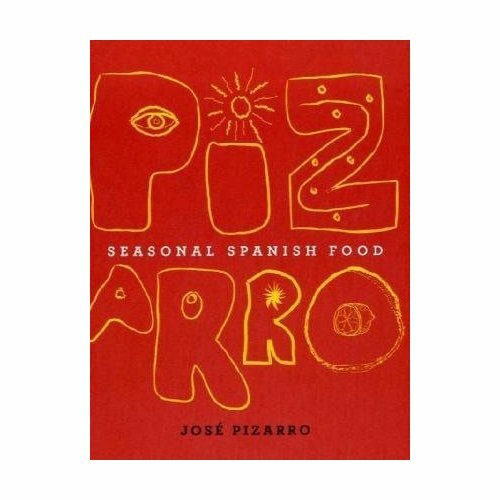 Lo and behold…not only do you have a contest going, but the prize is a Spanish cookbook as well—believe me, I need it! I hope I find time to do this. Love exploring Spanish cooking. I just posted my recipe; it is a bread that is eaten for breakfast with coffee or hot chocolate. This is my entry for the 2. Mediterranean http://neuesvonderinsel.blogspot.com/2009/12/champinones-en-salsa-verde-al-jerez.htm Event. thanks for participating! Unfortuneately I can not leave a comment on your blog as it does not support to register with Name/URL. I like your champignon a lot though! Thanks for participating! Thanks for the event! It stimulates me to practice english. Log in | 73 queries. 0.549 seconds.